It was such a yucky day when I took this photo that I had to take it indoors. I really prefer natural lighting. Oh well:( Take a Spin is such a fun stamp set. 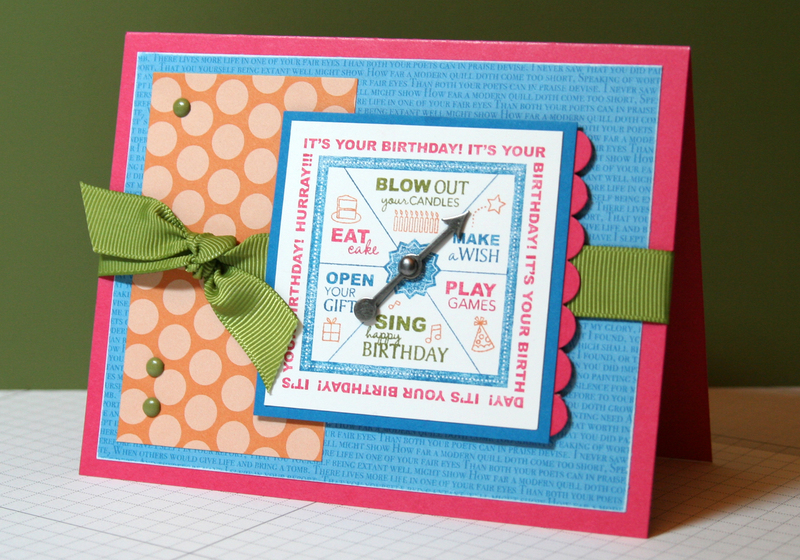 It is another great set from the upcoming Occasions Mini. You’ll be able to purchase all items from the Occasions Mini on January 4th. The trick to inking a detailed image like this is to start with the darkest color marker and color everything. Once the entire image is inked, huff on the stamp to re-moisten the ink and stamp. Check back tomorrow for another sneak peek! Happy Stamping. I am so amazed at your creations! Awesome work!